This is the sound the headless suicide bombers make in Serious Sam, and now you may have another incentive to load up the game and hear it again. Croteam have released the Serious Editor 3 Beta on Steam, letting talented individuals create their own maps for single-player, co-op and multiplayer and share them with PC gamers around the world. 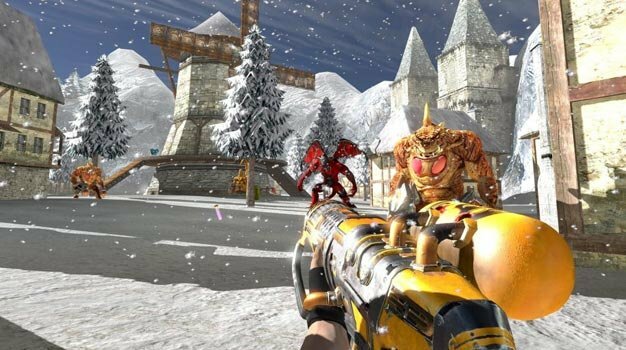 One lucky fan may even have their map appear in the upcoming Serious Sam 3, as well as rewarding them with a designer credit in the game and, according to the press release, “increased sexual prowess”. You’d better get on it then.